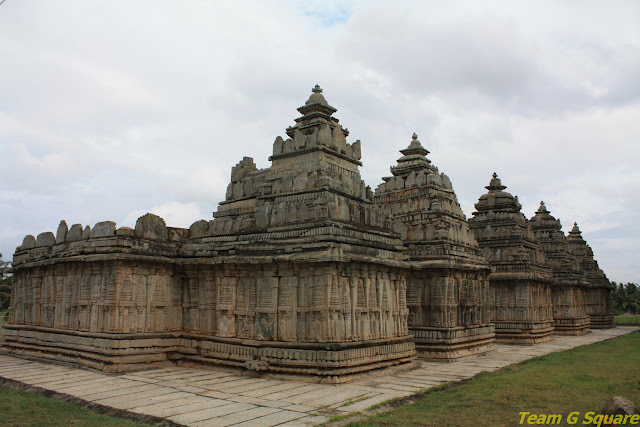 The Panchalingeshwara temple of Govindanahalli is one of the few surviving Panchakuta (Pancha-five; Kuta-shrine) temples built during the Hoysala period. 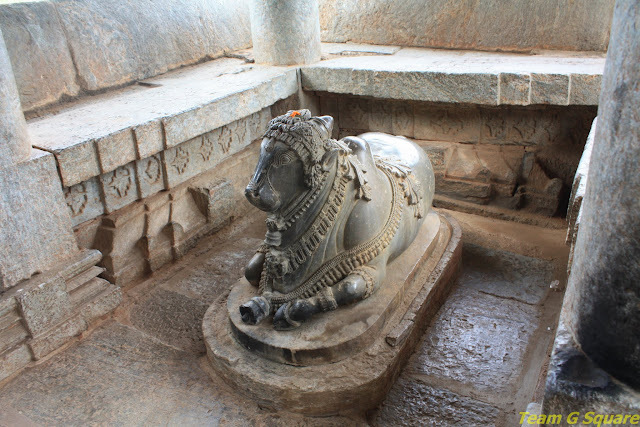 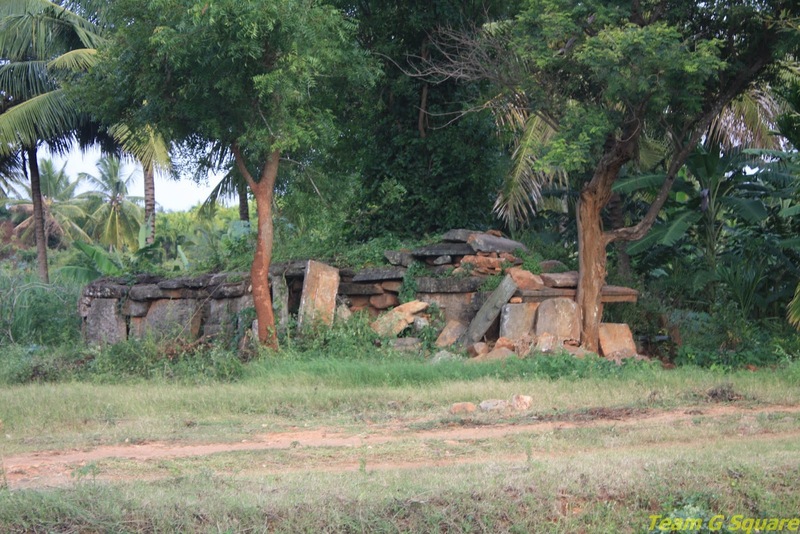 Govindanahalli, an obscure village in the Krishnarajpet taluk of Mandya district was once a flourishing town under Hoysala rule and is believed to have been a part of the ancient Kabbahunadu. 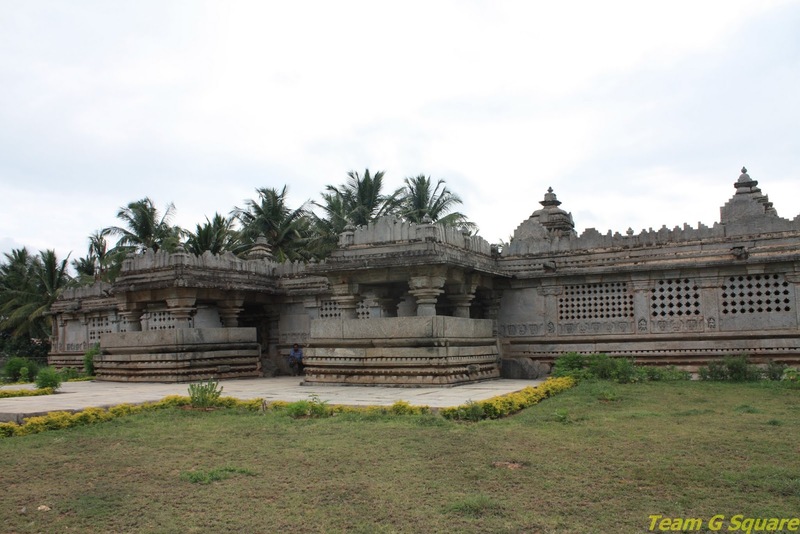 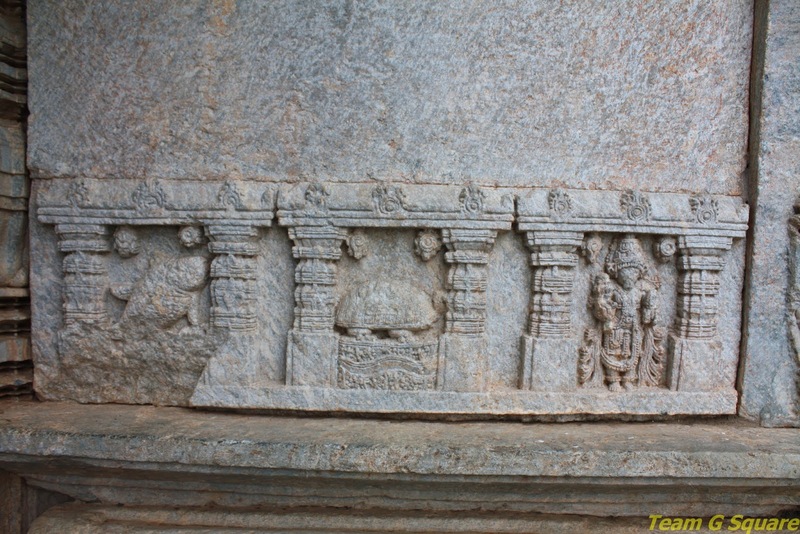 The temple was built in the 13th century during the reign of the Hoysala king Veera Someshwara. 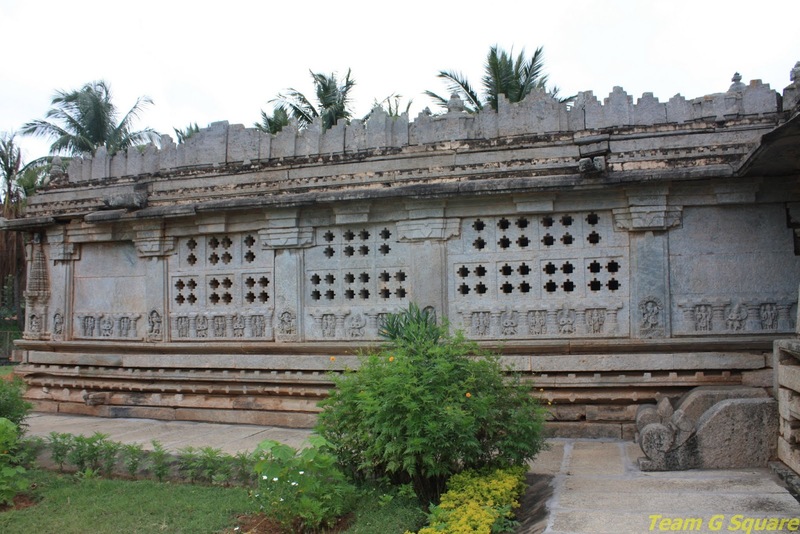 Originally, this temple was a Chatushkuta (four shrined) built in dravidian style. 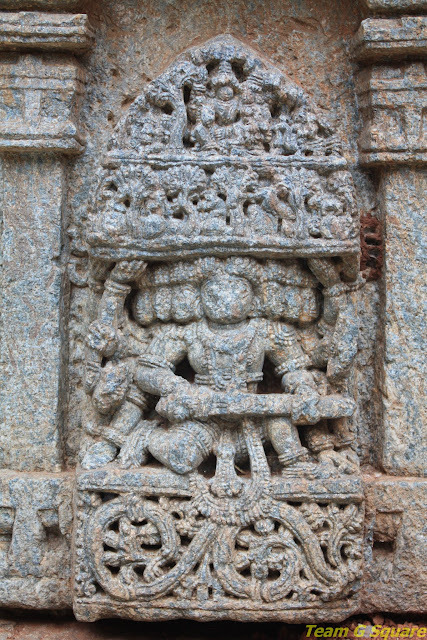 However, there was an addition of another garbhagriha on the eastern side categorizing the temple under panchakuta type. Each garbhagriha has a separate antarala, opening into a common navaranga. There are two north facing entrances with Mukhamantapas and Nandimantapas. Unlike other Hoysala temples which possess platform as a common feature, this temple is devoid of the same. The five Shiva Lingas here are named Ishanyeshwara, Tatpurusheshwara, Aghoreshwara, Vamadeveshwara and Sadyojateshwara, attributing them to the Pandavas of Mahabharata. 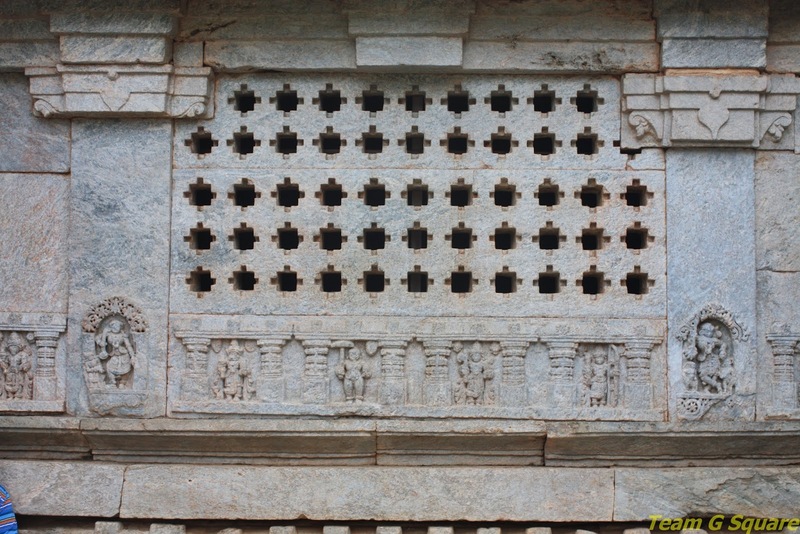 The shikharas of all the five shrines are richly decorated in dravidian style. An intriguing feature of this temple is that though the temple is dedicated mainly to Lord Shiva, the outer walls of the temple carry images of various forms of Lord Vishnu as a majority, similar to the Malleshwara temple of Aghalaya. 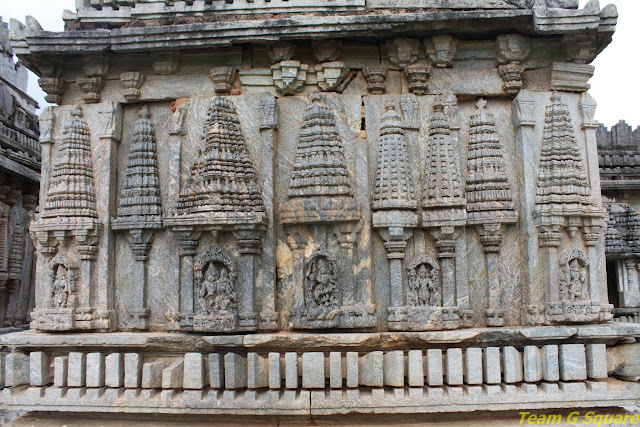 This may be due to the fact that the temple was built during two different phases of Hoysala rule. 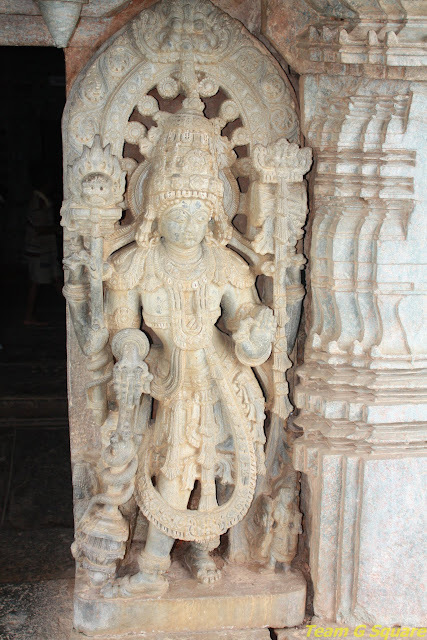 There are some beautiful sculptures inside the temple, that of Shanmukha, Ganesha, Mahishashuramardini and so on. 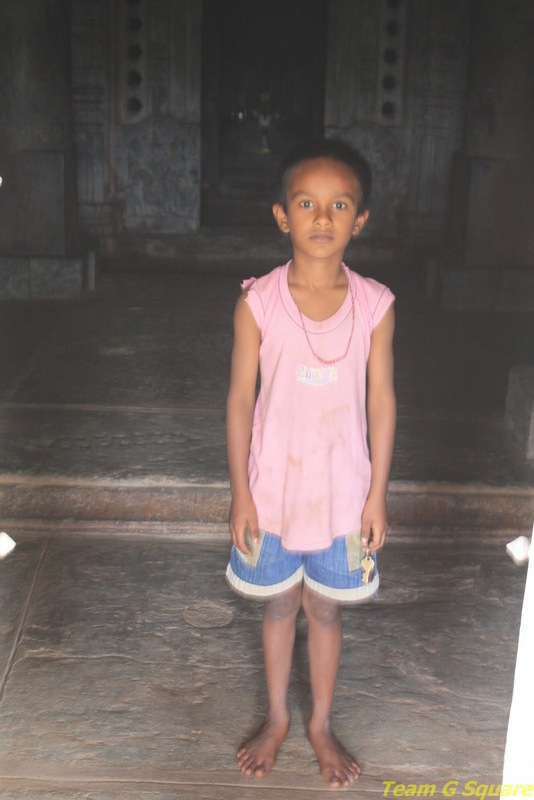 The lady care-taker in charge of the temple had maintained the temple clean and tidy though she was unaware of any history or information related to the temple. 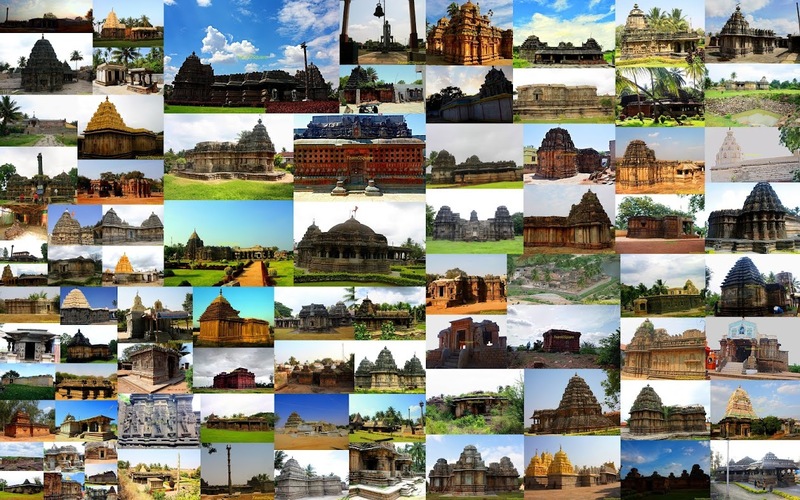 This temple is probably the only Panchakuta temple surviving today which is in good shape compared to the others, namely the Panchalingeshwara temple of Somanathapura and the Panchalingeshwara temple of Halebidu, which are in complete ruins.